A strategic plan is more than ensuring financial stability and providing for future community maintenance. Every community association needs multi-year strategies, goals, and policies to guide future operational decisions. With a clear and concise strategic plan, your board and other community volunteers will enjoy a roadmap that helps them stay focused on the important tasks and goals that will provide long-term benefits to the community. A strategic plan may also increase volunteerism, enhance relationships and unite community members around common goals and objectives. Facilitates progressive advancement of the association’s goals. Reveals the external perception of the community and how it may influence the marketability and value of its homes. 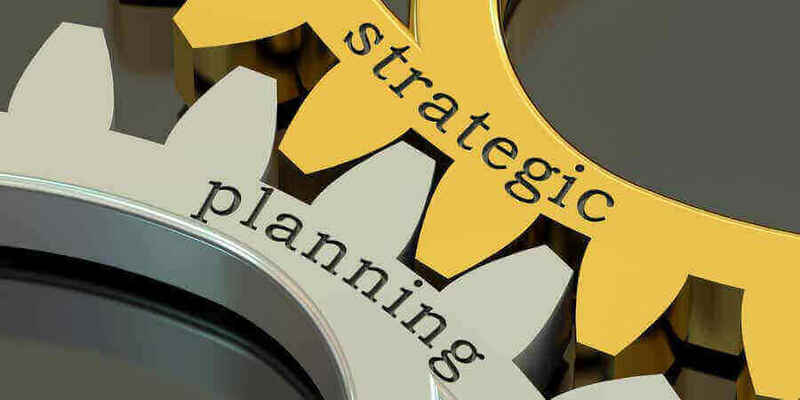 It is important to recognize that even the best strategic plan cannot ensure optimal decisions, anticipate unforeseen events or prevent the impact of an occasional crisis. However, it may simplify and streamline community association operations and provide the basis for more effective decisions that support the association’s vision and mission. Assess the Association’s Current Status. A great tool that facilitates this effort is SWOT analysis which is an acronym for Strengths, Weaknesses, Opportunities and Threats. Strengths. Identify the organization’s internal characteristics that enhance the association’s ability to meet its mission and vision or give it a competitive advantage over other communities. Some examples: location, committed volunteers and access to public amenities. Weaknesses. List the organization’s internal characteristics that detract from the association’s ability to meet its mission and vision or put it at a competitive disadvantage over other communities. Examples include poorly funded replacement reserves and deferred maintenance. Opportunities. Record the internal and external factors that may enable the association to meet its mission and vision. Some examples include technological advances, consolidation of functions and subsidies for community enhancement projects. Threats. Capture the internal and external factors that may prevent the association from meeting its mission and vision. Some examples include theft, a high foreclosure rate, undesirable municipal projects and new communities in close proximity that may undermine resale prices. Solicit input from owners early in the planning cycle. A couple of good methods are a community brainstorming session (often synergistic and productive if best practices are observed) and a well-designed community survey. Don’t forget about renters in the community. Their perspective may be different and valuable. Both the budget process and the annual meeting are also excellent opportunities to learn what is important to the community and to encourage owners to get involved in their community by serving on a committee or working on a project where they have interest or expertise—including strategic planning. It may also be useful and enlightening to solicit input from real estate agents that specialize in your community and other external entities that conduct informal, de facto assessments of your community. They may be able to identify SWOT factors that are not readily perceivable by owners and residents due to the residents’ intimate relationship with the community. For example, a real estate agent may identify elements of the community that need an update. Develop Vision and Mission Statements. Vision and mission statements are key elements of the completed plan and may be all that is remembered by many owners and residents. Successful organizations use a vision statement to communicate, organize and inspire. A good vision statement is a simple, clear and concise description of what is important to the community. It should describe the direction, values, and essence of the association in its desired state. Develop and Prioritize Goals. To be effective, your goals must be prioritized and S.M.A.R.T as described below. Specific. The goal is well defined and clear to all who have basic knowledge of the strategic plan. Measurable. Progress toward the goal is measurable and achievement of the goal will be clearly evident. Achievable. The organization has high confidence that the goal is achievable within the agreed upon time constraint. Relevant. The goal must directly advance the mission and vision of the association and must remain relevant once achieved. Time-bound. Allow adequate time to achieve your goal, but not enough time to lose momentum or render the goal irrelevant. Develop Action Plans. Unless a goal is very simple to achieve, an action plan will be necessary to achieve the goal efficiently. Communicate the Plan. You may be surprised how often this step is overlooked. Many missions and visions are not realized because the plan was not effectively communicated to those directly and indirectly involved in the planning. Community support of the plan is crucial and will attract additional volunteers to help execute the plan. Finally, allocate budget dollars in support of the plan. Implement. Work from the bottom up. Execute the action plans that realize your goals that support your mission and vision. If you have many action plans, consider appointing a project manager to employ some basic project management techniques to stay organized and focused. Strategic plans often are forgotten quickly despite the best intentions of all parties, similar to a New Year’s resolution. As a result, they often become “shelfware.” That is, the attractively bound plan is placed on a shelf, seldom if ever to be consulted again. Strategic planning is a cyclical process. The board should review the plan annually to ensure it remains timely and relevant, regardless of the planning horizon. Volunteer leaders come and go and each has individual priorities. The following may help maintain continuity. Following each annual meeting, conduct a new-to-the-board orientation to brief new directors on the history and current state of the association. Impress upon all directors that they run a privately held multi-million dollar real estate corporation. Schedule a planning retreat for the board shortly after the new-to-the-board orientation. Fresh volunteer leaders often have the highest levels of energy and commitment. Then allocate half a day (outside of a board meeting) during which discussion of current operational issues is forbidden. The focus must be on strategic planning. Broaden your perspective by encouraging non-linear thinking and creativity. Engaging a facilitator to help guide the meeting may be beneficial. Schedule time to review progress each quarter. After identifying and evaluating the SWOT for your community and setting SMART goals with well defined action plans—all of which support your mission and vision—your community will be well on its way to becoming a well-oiled machine that meets the needs of the owners and other stakeholders in the community. Depending on the size and complexity of your community, a modest investment in strategic planning can return large dividends in the form of satisfied owners and higher property values. For much more information on strategic planning, refer to Best Practices Report # 3, Strategic Planning published by the Foundation for Community Association Research (http://www.cairf.org/research/bpstrategic.pdf). “Best Practices Report # 3, Strategic Planning” (Alexandria: Foundation for Community Association Research, 2001), 4. David Rossiter is an experienced Community Association Manager with an emphasis in financial management. He has a strong background in business management and many aspects of information technology. David has been a self-employed small business owner since 1994. His specialties include: Community association financial management, condominium association management, homeowner association management, collections management (not an attorney or collection agent). David is an active member of WSCAI.